In 1974, a brash young designer called Augustus Kerry Taylor had an idea. He’d gather together the hottest musicians in Ghana and record an album of the heaviest and funkiest sounds coming out of America. And this time, he wouldn’t just design the cover, like he’d done with Fela Kuti, he’d even release it on his new label, Emporium, as well. Local Accra legends Joe Wellington, Jagger Botchway, Leslie Addy, Officer Toro, Oko Ringo, Soldier and Steve answered the call. They were christened the Kelenkye Band and gelled immediately. 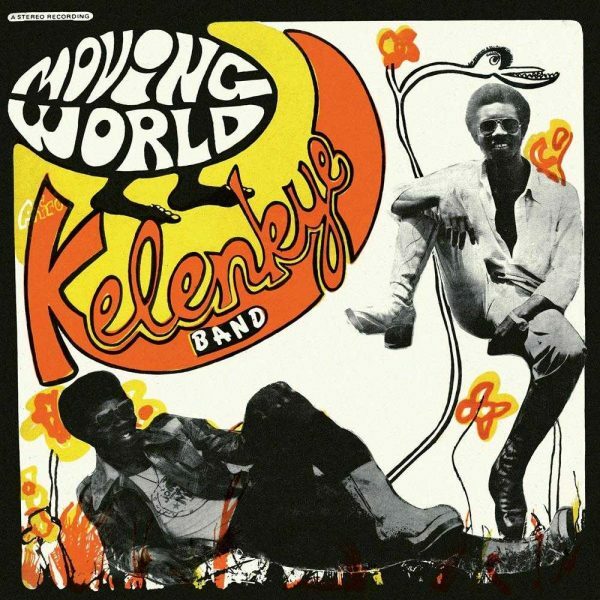 Moving World, is a funky, disparate album that exudes a rare warmth, enthusiasm and togetherness. ‘Moving World’ and ‘Brotherhood of Man’ are hard, grinding funk. ‘Jungle Music’ has a more soulful groove. There’s also a bit of reggae, ‘Dracula Dance’, and old-skool highlife, ‘Wale Tobite’. Accra’s leading DJ, Charlie Sam, declared his mind ‘well and truly boggled.’ The Kelenkye Band never recorded another album. Augustus Kerry Taylor shut down Emporium and went back to designing album covers. But in Moving World they delivered a perfect moment of funk alchemy that has rightly become the Holy Grail of 70’s Ghanian groove. – Peter Moore / Licensed by the bandleaders and songwriters of the album, Joe Wellington and Jagger Botchway.